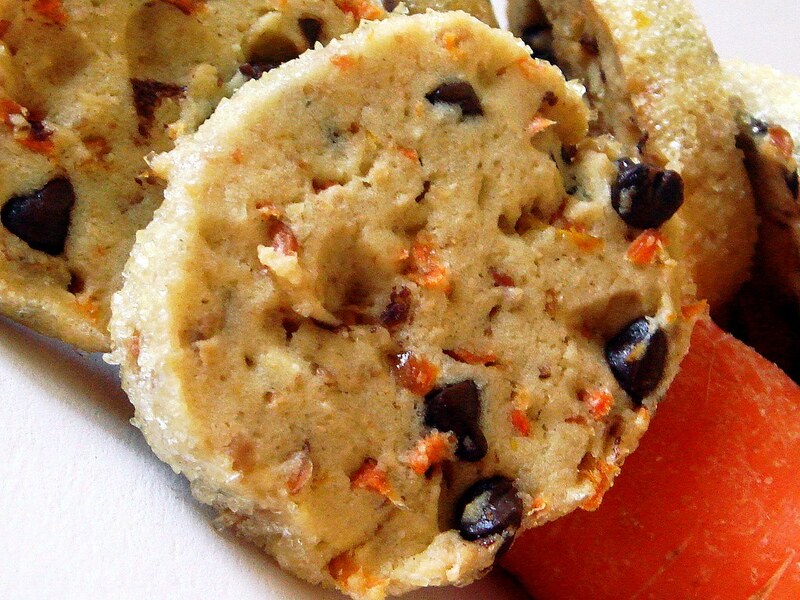 Carrot shortbread. Yeah, that's right. I won't take all the credit for this idea, though, as it originated from a conversation about carrot cake with chocolate icing, which led to baby carrots dipped in chocolate frosting. Which sounds disgusting, but I have this idea that originated from someone else a long time ago about carrots tasting a bit like raw coconut, the sweetness and the crunch. 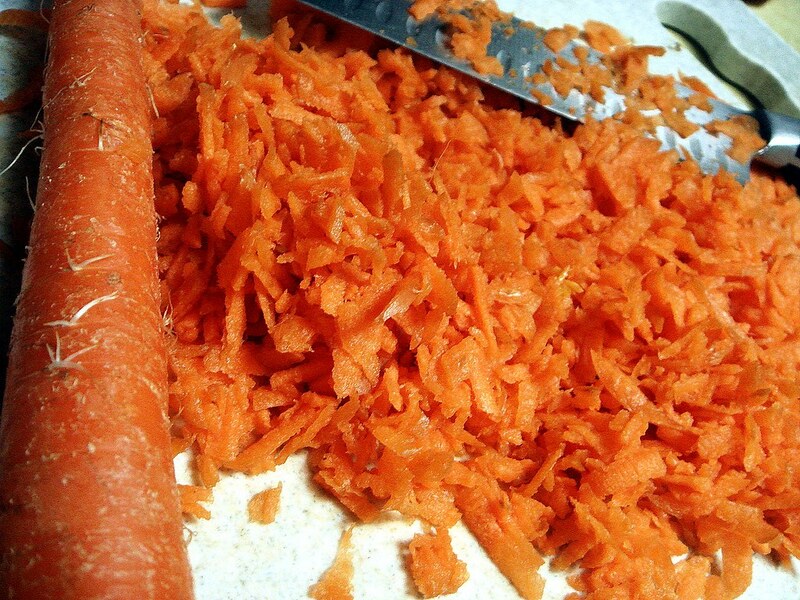 Before I begin, I grated these carrots normally, then ran them over with a knife to get the strands more finely chopped. I'm not sure how else to finely grate carrots unless you spend two hours doing so, or use some blade in a food processor, though this was easier. At first I was thinking of creating a regular carrot cake type recipe, although that idea never appealed to me because I figured it would end up tasting a bit like a pumpkin cookie. I also wanted to come up with something a bit more unique, and since I've been on somewhat of a shortbread cookie roll, I stuck with that theme. 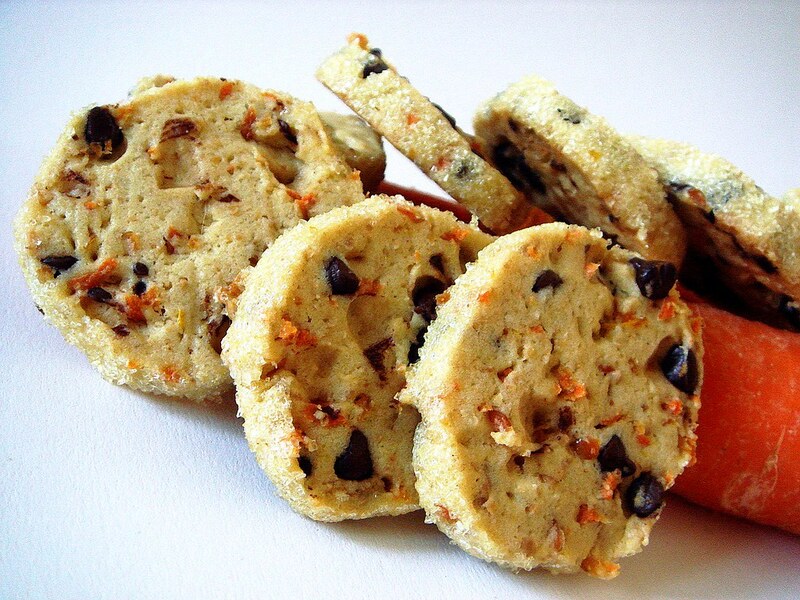 My to requirements for these cookies was to include carrots and chocolate chips. Next up was adding a few different ingredients to make it different than a regular cookie. Maybe ground ginger and toasted almonds processed to a floury powder aren't quite unique, so I added orange. Because clearly adding the flavor of orange to recipes is something I don't often do. The dough came out with buttery, with a special sweetness from the carrots and subtle flavors from the ground almonds, ginger, and orange. At first I wasn't sure about the taste paired with chocolate, but it wasn't disgusting. I figured if the cookies came out like crap, some wild creature outside would thank me. As per usual, I divided the dough in half, rolled into a log, and refrigerated overnight. The day I baked it I sprinkled sanding sugar on a platter and rolled the log in it to coat the outside before slicing. I love doing this because it's pretty and adds more flavor to the cookie. Throughout this process I wasn't really sure what exactly to expect. However, it came out much better than I initially expected (everything I make is, by default, delicious). It had the sandy shortbread texture with a smoothness in flavor that almost tastes like a mascaropone cheese in a way, but it's probably just the combination of sweetness from the carrots and the flavor of the ground almonds. The orange comes through to brighten the taste of the cookie, though the ginger remains mostly undetectable. There is just enough chocolate to enhance without overpowering. While the texture was sandy, these were soft cookies instead of being crisp like many shortbread. 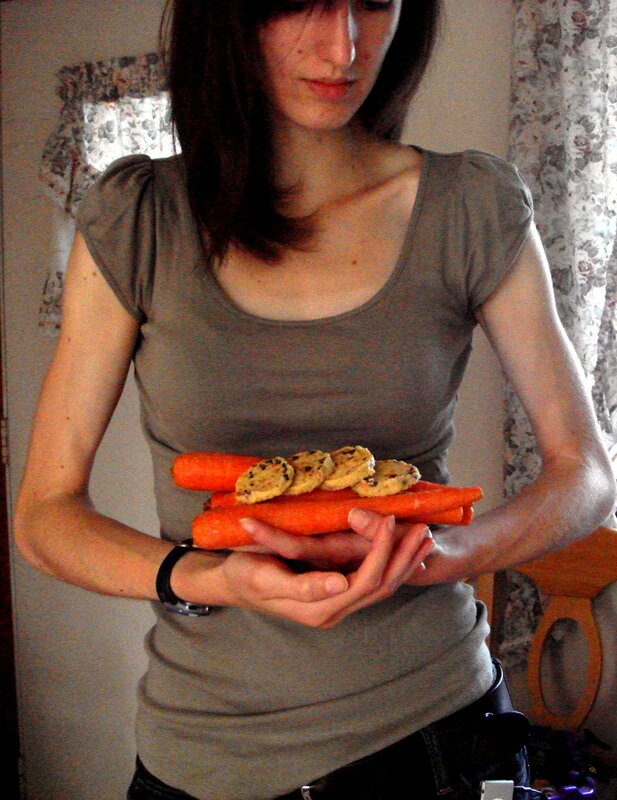 For laughs, I wanted to take a cheesy picture of myself like I see in magazines where the farmer is holding his bounty in an artsy shot, but all I came up with was a picture of me gazing at the bundle of carrots and cookies in my arm like a newborn crop baby. When you taste these cookies, though, you'll probably stare at them the same way. This was probably the best cookie I've had in 2010, and if you want to experience the best cookie to-date of 2010, follow the recipe and make your own. In a medium bowl, whisk together flour, ground almonds, and ginger; set aside. Beat butter with confectioners' sugar in large bowl for 2 minutes. Add salt, vanilla, and orange rind and beat until combined. next, add grated carrots and beat for another minute. Beat in egg until combined. Blend in half of flour mixture. Using a sturdy spatula or a wooden spoon, stir in remaining flour until a few traces of flour remain. mix in chocolate chips just until combined. 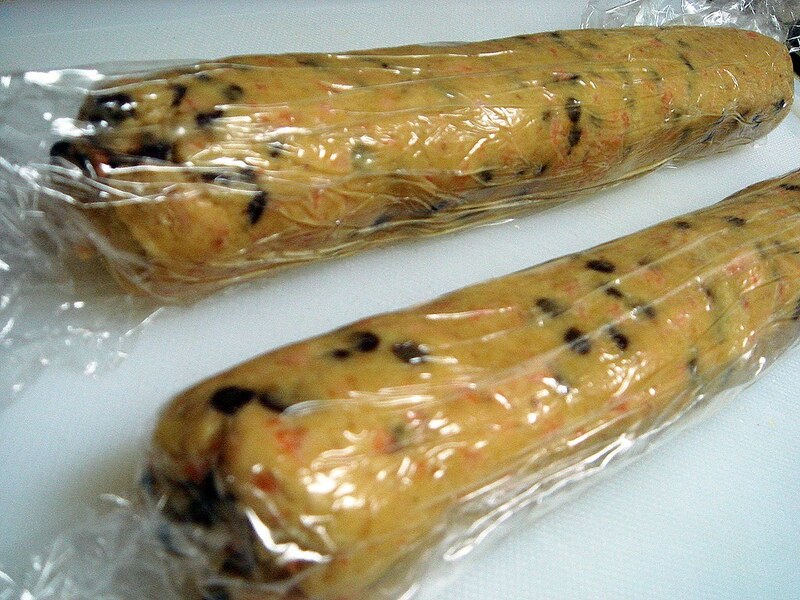 Divide dough in half and roll each portion into a 1 1/2 inch wide log on a sheet of plastic wrap. refrigerate until firm, or overnight. Preheat oven to 350° and line a baking sheet with parchment paper. Place extra sugar on a platter. Roll one log at a time in the sugar to coat the outside. Slice into 1/4 inch slices and place 1/2 inch apart on prepared sheet. Bake for 13 minutes; cookies will be firm to the touch and bottoms will be golden brown. Remove from oven and let rest on sheet for 3 minutes before transferring to a cooling rack. Thank You for entering the Bake Up Summer Sweets Contest. I hope you are given the opportunity to own a new KitchenAid mixer so you can whip up your recipe with ease. Yuk. 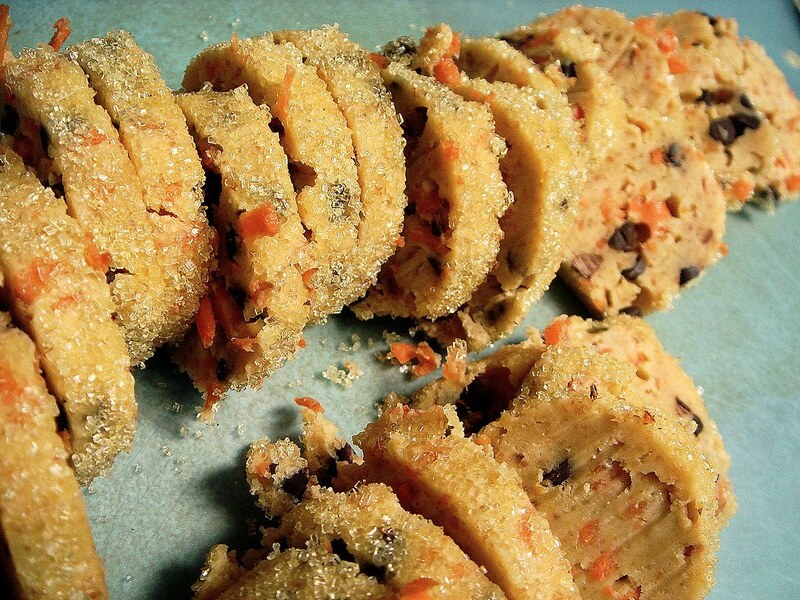 I hate carrots and also any attempts of adding a 'healthy element' to cookies. However, this cookie would be nice to have around the holidays. I never would have considered carrots to be a health food, Jogger. Look at you! Making up recipes! These look really interesting. 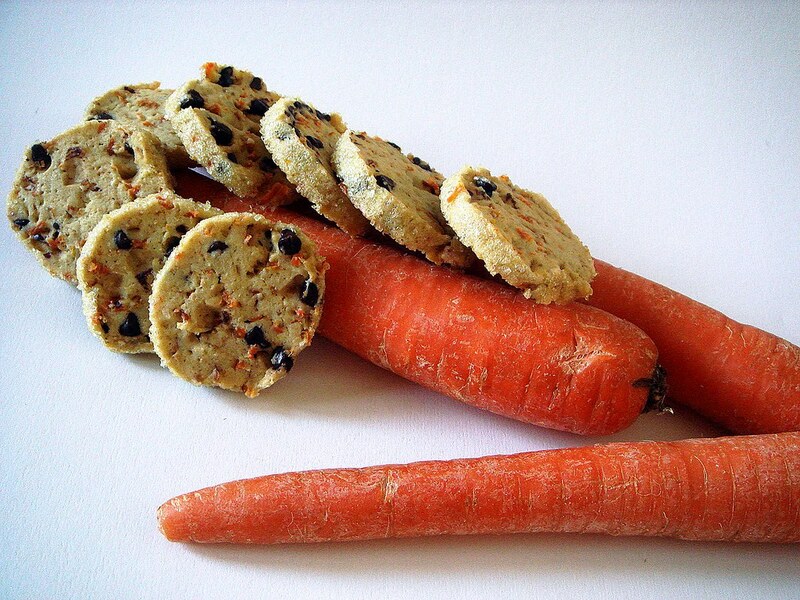 I would definitely try one since I didn't realize that carrots could be added to short bread! They look great to me. Do they come out chewy or crispy? Natalie ~ Thank you! I'm trying my hand at creating stuff myself a bit more. Hope you like them. Mica ~ Hahha, thanks! I'm getting a bit more confidence with each creation. Ashley ~ I should have mentioned that in the post. These came out with a sandy, soft texture. If you bake them a minute less, they still have a bit of the sandy texture but definitely are more chewy. 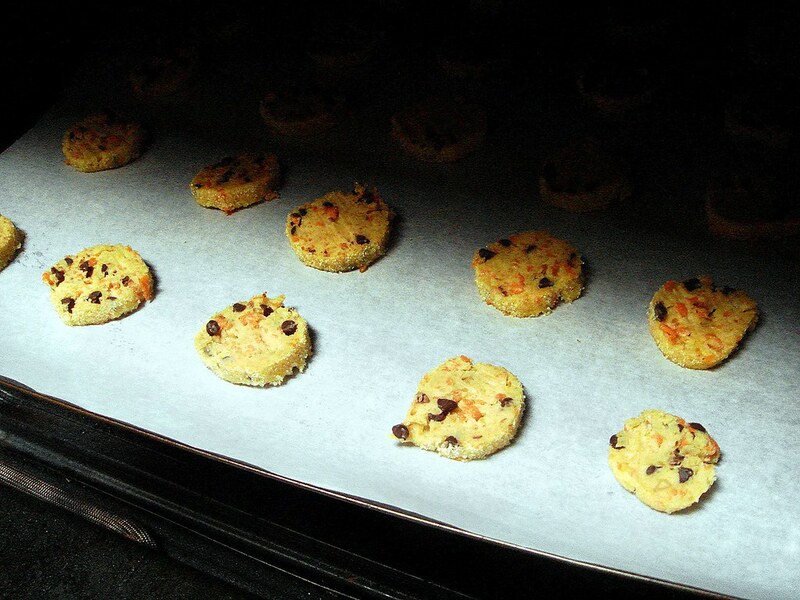 If you'd like them crispier, bake them a few minutes longer (making sure to check to see if they're overbaking).